1) What was the sishya lakshana( characteristic of disciple) that Prabudhdha preached? 2) “Devotion comes from Devotion”—what does this mean? 3) What is the difference between akarma and vikarma? 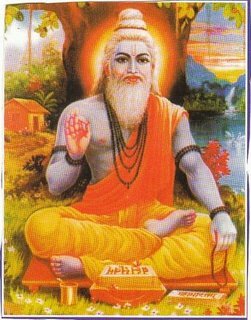 4) In which Yuga was the Lord called Jayantha? 5) Why do saints of Krutha Yuga desire to be born in Kali Yuga? 1) Do not drink alcohol. None should disrespect great saints. These are the two dharmas shown. 2) Saamanya Dharma purifies when put in practice. Bhagavatha Dharmam like Nama sankeerthanam and Kathasravana purifies instantly. 3) Narada was in remembrance of the Lord till that point of time. 4) The Lord is known as Vaikuntan.The Lord’s favourites are His devotees. This means “ Sadhu Darshanam”. B) The Lord loves Vaikuntaloka. The darshan of that Lord—is what it means. 5) Namasankeerthana and katha sravanam etc are the vrathas of a baktha. ( bakthi sadhanas). 1) Who was the mother of the Navayogis? 2) If one conquers one sense organ it means he has conquered all senses. Which is it? 3) What is it that gives extreme happiness? What is it that gives extreme sorrow? 4) There are only two people who are ever happy without sorrow. Who are they? Note: Owing to Hari Anna’s hectic schedule April questions have also been posted. Hence send answers to all the questions.